194 Bellbrook Crescent, Portland Hills (MLS® 201902173): Beautiful 4 bedroom bungalow situated in Portland Hills. Fully finished with open concept living, eating, kitchen area with a separate dining room. Two large bedrooms up and two large bedrooms down, ensuite has a walk in shower. Main floor laundry room doubles as a 'butler's pantry", and there is space for a deep freeze or a second small fridge. 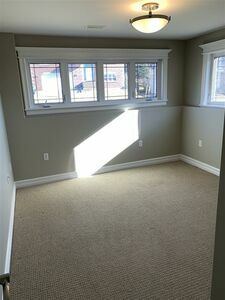 Garage is 1 1/2 bay, basement has a very large family room with walk out, bath and storage area. Natural gas fireplace in living room and a roughed in gas line in basement family room. House is wired with a sound system and has a south/southwest facing deck on rear of the house. Natural Gas roughed in for stove, dryer and bbq on rear deck.